April 22 – 26 Monday – Friday 8:00 a.m. – 5:00 p.m.
April 29 ‐ 30 Monday ‐ Tuesday 7:00 a.m. – 7:00 p.m. This questionnaire was created by Texas Campaign for the Environment Fund (TCE Fund), Liveable Arlington, and Arlington Conservation Council (ACC) in order to provide the public with direct responses from Arlington city council candidates on important environmental topics. Some candidates did not respond to the questionnaire. 1. In 2018 there was serious resident opposition to setback waivers that allow drilling at distances less than 600 feet from Arlington homes and other protected uses. There was an accident at Fannin Farms in September 2018 where drilling was permitted as close as 320 feet from homes. Many peer-reviewed studies document public health and safety risks from living close to drilling. How would you address the issue of setback distance waivers for drilling? Jeff Williams (Mayor seat) – I am not in favor of waivers for setback distance. I will be working for the elimination of waivers for setback distance. I have been leading an effort to increase restrictions on gas wells within the limits of the law. Ruby Faye Woolridge (Mayor seat) – When I saw that the opposition was struck down and that drilling will resume near residences at a dangerous distance, I was shocked. The city of Arlington can do better for its residents’ safety. When elected mayor I will make sure Arlington aims higher and work with the people to limit drilling to 1200 feet away from residences. This number is deemed a real safe distance away to ensure that residents are healthy and safe. State laws will attempt to restrict our ability to do this, but as mayor I would petition congress to relieve those restrictions. Ashton Stauffer (Mayor seat) – It’s my understanding that whenever we first started drilling, The proceeds would go into the Arlington tomorrow foundation. This money was legally robbed do you provide corporate welfare two large corporations and owners of sports franchises. Because my campaign is about putting Arlington citizens first, I will pledge to you, that we will find a livable compromise on this very important issue. A compromise that ensures that first and foremost our citizens are kept safe, and able to live happily here in their homes in Arlington. Marvin Sutton (D3) – I support increased setback distances. I believe we should toughen the standards to decrease the harmful exposure of pollutants to our communities. Studies have confirmed the increase in health risk levels. Dallas currently has a setback distance of 1,500 which I view as a reasonable distance. I am willing to work with the gas and oil industry and environmental experts to ensure that we reduce the safety risks to our citizens and environment. I will aggressively advocate a safe and clean environment. My town hall meetings will include gas well site reports from sites within the district. I’ll consult with Livable Arlington locally and other groups to ensure our gas well operations do not compromise safety or expose our environment to harmful pollutants. I oppose issuing setback waiver and will work to aggressively expose the harm it does to our community. Cyndi Golden (D4) – I believe waivers should be rare and only given under unusual circumstances. The citizens accepted 600 ft as the setback and it should be honored. Ignacio Nunez (D5) –Through the same democratic process that we have in place now. I have stated in another groups survey that in a perfect world I would always vote to not drill inside a City where we live. This is Texas with a long history of Oil Friendly State legislation. Our public universities are partially funded via oil money. To believe that local ordinances will prevent drilling, in this state is unfortunately, as you well know, not going to happen. As a physician I am well aware of the potential dangers. But when 70% of an affected neighborhood votes to decrease the setback then, as written today, it can be done. I am also aware of a pending town hall meeting where there will be a discussion to decrease the set back to 300 and maybe even no setback with neighborhood approval. I need more information. Peer reviewed studies can be biased. Be careful if bringing data to a meeting that you can show statistics that are valid and not open to interpretation. Celia Morgan (D5) – I do not agree with shrinking distance limits on gas well operations. I don’t believe that there is a need to drill inside city limits. Arlington is growing rapidly- and we are running out of room for roads, homes, businesses already, not to mention compromising our natural parks and contributing to decimating erosion and environmental issues. We can be a leading energy center without gas wells. Instead I would like to see the City do more to use innovative green energy solutions- we could put a good amount of solar paneling on that new retractable roof Stadium! Barbara Odom-Wesley (D8) – I cannot agree with waiving the setback requirement. Setback limits for gas wells should be set based on scholarly research. The health and safety impact should be defined. With this data, the limits should be established, enforced an applied to each case. The city must be able to guarantee public safety and protection of the environment. The advantage of drilling is to access valuable minerals. We all benefit from these resources. The big disadvantage is potential pollution of water and soil as well as the negative impact on air quality. The health of residents living near wells can also be affected which is why the setbacks are so critical. Don Warner (D8) – I am not in favor of approving setbacks to less than 600 feet under the current ordinance without adequate justification, a site visit, and added restrictions. Scientific studies are not clear on what setbacks fully mitigate human health and safety concerns caused by oil and gas wells. And of course setbacks are determined as to type of well. All oil and gas wells that I am aware of in Arlington are non H2s wells. Therefore, if we were establishing a limit in Arlingington, Texas, I would start with a minimum of 2500 feet. However, as we all know a precedence has been set in Arlington and wells have been drilled to the 300 feet setback based on the current ordinance. House Bill 40 has tied municipalities hands , especially at this point in the process. There are 18 established drill zones where precedence has been established to something less than 600 feet where some restrictions may be added. There are 36 more sites where drill zones have not been established where some increased levels of mitigation should be pursued such as SUP super majority, electric rigs, monitoring, reduced setbacks, traffic restrictions in residential neighborhoods, etc. HB40 par. (c) The authority of a municipality…………. to regulate an oil or gas operation expressly preempted, except that a municipality may enact, amend or enforce an ordinance or other measure that: (2) is commercially reasonable; among other restrictions. Joshua Taylor (D8) – Everyone should be held to the same standard in regards to preserving our public safety and minimizing risks of our residents in the city. Earning favor of the council should not be a route to obtaining waivers that could potentially put someone at risk. The accident in September 2018 should be a clear indication. Cutting corners may seem risk free, but when being entrusted to be for the constituents or residents of the city, safety should always be first priority. Work needs to be done, but work should never come before safety, especially in the eyes of an elected official charged to serve the people of its community. 2. “Texas is particularly vulnerable to a changing climate. It has had more costly weather-related disasters than any other state, and those events will happen more often as air and ocean temperatures climb, scientists say.”1 How would you help Arlington develop policy to mitigate and adapt to climate change and to lower its carbon footprint? 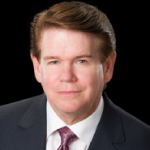 Jeff Williams (Mayor seat) – Through current meetings and ongoing activities, I find immense value in utilizing renewable energy in Arlington to help mitigate and adapt to climate change. I have already been at work in several areas and will continue to be a champion in this area. Currently, we have been installing LED lamps in all of our thoroughfare streetlights. As you know, LED lights are up to 80% more efficient than traditional lighting, plus because they use less energy this reduces demand from power plants and decreases gas emissions. Another area where our carbon footprint can be reduced is by decreasing the amount of cars on our streets. I have been a champion for cycling and walking in our city and throughout our State. In fact, I have won numerous awards for trail design that started years before becoming Mayor. I have been able to build synergies throughout the DFW metroplex to increase trails and develop our trail master plan to provide connectivity throughout our city and to surrounding cities. This access will allow more to be able to bike and walk to destinations rather than drive. I have also enjoyed promoting cycling by participating in cycling meetings and promoting the recent opening of Trek of Arlington. Under my leadership as Mayor, there has been more advancements in public transportation than in any other time in our history. One example is our city is offering an alternative to driving by using a technology-based rideshare program. Ridership numbers are at an all-time high. Because of Arlington’s proactive stance on reducing vehicle congestion, we have become a leader in transportation innovation and a test site for many new technologies. I will continue to aggressively pursue technology to reduce the vehicles on the road thus translating to a reduction in pollution and emissions released. Ruby Faye Woolridge (Mayor seat) – We can work to implement the policies that were established by the EPA . I would Join in on the Climate Mayors Compact, stand in solidarity with the climate mayors because it will provide meaningful action in our cities and communities. The Climate Mayors commitment to innovation to electrify municipal fleets of vehicles will improve air quality and help cities like Arlington to transition from fossil fuel vehicles. Ashton Stauffer (Mayor seat) – my dad always said if you don’t like the weather here in Texas just wait an hour and it will change. The state of Texas has what is called a rainy day fund. Right now it has about $13 billion in it. This is money that is set aside primarily for natural disasters. We need to work with our state legislature on implementing commonsense solutions to help prevent these disasters. We can use some of the money from the rainy day fund to cover those costs. We need to start by making it a priority to keep our water and air pure and clean. Marvin Sutton (D3) – Climate change (global warming) is real and has a profound adverse effect on our planet and livelihood. My hope is to reverse the trends of our greenhouse gas emissions. We’ll embrace policies that lower our carbon footprints and encourages the following, a. Use of clean, renewable energy. b. Carpooling. c. Use and acquisition of energy efficient vehicles, equipment and appliances. d. Increase our tree population by 25 percent. Cyndi Golden (D4) – Education of citizens and decision makers is crucial to begin change in this direction. Some choices are easy ie. optimizing energy efficiency in buildings, using LED bulbs, harnessing solar energy. Others may not even be costly such as using native plants in landscaping and parks to decrease water usage, buying locally to decrease the distance of transport from the source ( and that’s also good for the local economy). Utilizing suppliers who reduce carbon emissions also could be a priority. 15% of carbon emissions come from transportation. So limiting the number of cars and encouraging walking, biking, and ride share also helps to lower the carbon footprint. Ignacio Nunez (D5) – I believe in climate change and that we are most likely the cause. I am open to any idea that decreases our use of fossil fuels, gets us out of our cars more often. It needs to be an affordable idea that does not jeopardize basic services: Fire, Police, Water and Sewer, Roads and Transportation, Parks, Libraries. I will not pretend have expertise in this area. As a council person I will listen to all ideas and an open to change. 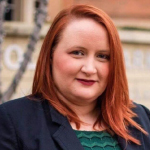 Celia Morgan (D5) – I recently came to learn that the City has not updated it’s new development guidelines since 2003, when I graduated high school. It’s been far too long since we’ve worked to ensure new developers are building with a rapidly changing climate in mind. In addition, all new developments should meet a certain percentage of renewable energy systems where applicable. We need to make investments in our Public Works budget to aid with the projects that have been ongoing with the city for over ten years and move to get our current watershed study completed before it’s anticipated due date if possible. We also need to work with climate experts to ascertain what preventative measures can be adopted and put into practice across the city. Barbara Odom-Wesley (D8) – My help would be in the form of research and study of the issues associated with climate change. I think it is important to invite a diversity of expertise and opinions to the policy-development discussion. I would seek assistance from UTA as well as the EPA. Much has been written on this subject including the article you cited. Using all of this information along with citizen input, the city can be guided to making policy that would protect our environment and reduce the carbon footprint. Don Warner (D8) – Regardless of where you stand on this issue it’s important to develop a plan that would phase in pritorized improvements to our environment. There are numerous cities that could be benched marked for their efforts on this subject. Improving our environment is everyone’s business and should be addressed. Arlington should look seriously at improving transportation options, traffic patterns, waste / recycling solutions, renewable energy, green space/trees, industrial processes/buildings, stormwater retainage, and air conditioning options. All of these can be impacted in thoughtful economical processes if we will make the commitment and develop the planning for implementation. Transportation options, waste disposal / recycling, and new construction requirements would be my first priority. Joshua Taylor (D8) – I believe that what we can do in Arlington to contribute to the fight against Texas’s future climate change is to first address the need for public transportation in our city. Properly exploring a self sufficient transportation system in our city (via busing, biking, and or scooters, available to the public, ultimately leads to less carbon dioxide released into the air. Studies show that an average car emits 6 tons of carbon dioxide each year. Having a more environmentally conscious candidate on our city council, one that can effectively promote the importance of recycling and public awareness of our environment, while maintaining a healthy livable ecosystem for us all to enjoy. I would look to do research on our use of Smart Meters in the city, and development of more energy efficient buildings. Robert Harris (D8) – No response. 3. The vast majority of trash that is disposed at the city landfill comes from businesses within and outside Arlington. City staff are preparing to write a long term solid waste management plan that will examine projects and program priorities for dealing with landfill waste, recycling, and composting. Would you support a solid waste plan that includes goals to greatly reduce waste in Arlington? Would you support policy objectives including requirements for businesses and apartments to provide recycling, and separate collection for yard trimmings and brush waste from residents? Jeff Williams (Mayor seat) – Yes, I would support a solid waste plan that includes goals to greatly reduce waste in Arlington. I would support policy objectives including requirements for businesses and apartments to provide recycling. We already have recycling being done at the landfill for brush and concrete. I will work with your organizations on reducing waste and growing recycling, along with other ideas you may have. 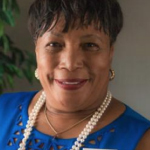 Ruby Faye Woolridge (Mayor seat) – I will support plans to ensure that the city of Arlington is a clean and beautiful city and that we don’t contribute to pollution by the way we dispose of waste. I am a strong supporter of recycling and I would work to develop and support plans to require businesses and apartment complexes to recycle. Ashton Stauffer (Mayor seat) – other municipalities are using incineration to tackle The challenge of waste management. I think it would be prudent to explore that possibility here in Arlington. Marvin Sutton (D3) – I support working with our staff to create a Zero Waste Plan for our city by 2035. I would also support deployment of large recycle bins at parks and recreation center, and require business and apartments to use recycle containers provided by the city. Residents would be encouraged to use compost containers provided by the city. Town hall meetings would address city waste reduction and recycling/reusing/composting communities’ goal. Cyndi Golden (D4) – I would support a solid waste plan to reduce waste including requirements for businesses and apartments to provide recycling, and separation of yard trimmings and brush waste. Celia Morgan (D5) – Yes to all of these. We need to prioritize the needs of our residents and visitors first- or risk significant impairment to our livelihood and well being in Arlington. With recycling options available for as long as they have, there is no reason not to prioritize it and reduce waste and environmental impact. This is a shared responsibility for all of us to maintain our city- businesses should be equally, if not more, accountable for their impact on our community. Barbara Odom-Wesley (D8) – Yes, I would support a solid waste plan that establishes goals to greatly reduce waste in Arlington. I agree the policy objectives should include requirements for businesses and apartments to provide recycling, and separate collection for yard trimmings and brush waste. In addition to studying the research on these topics, I would encourage review of best practices in other cities with similar demographics. Don Warner (D8) – Yes and yes. I am not intimately familiar with Arlingtons landfill agreements, waste treatment policy or goals. I would be interested in the benchmarking of cities that have world class programs and seeking to move towards those in developing Arlingtons new Waste Management Plan with the assistance of TCE in that process. Joshua Taylor (D8) – Yes I am in full support of an efficient plan that will reduce waste in Arlington. Promoting uniformity across apartments and businesses in our city and educating on the importance of removing wastes properly, begins with transparency in embracing the need for change. I believe that providing separate collection for trimming and brush wastes is long overdue and collectively as a community, in embracing new change, I believe that a plan for action is in order that allows and promotes productivity in our community, as a community. The hurdles to achieve uniformity are outweighed by the difference it could and will make to the city of Arlington and our individual overall health. I am eager to hear the current city staff’s waste management plan to be proposed. 4. Arlington has limited bicycle infrastructure and public transportation options for residents and commuters. What would you do to expand access to transportation in Arlington? Jeff Williams (Mayor seat) – The effort to increase bicycle infrastructure and public transportation options has already begun. I briefly touched on both of these components in question two, but I would love to expand on the transportation component a little more. During my tenure in office, the City of Arlington has made drastic changes to be on the cutting edge in transportation and finding safer and cheaper options for our citizens. I have led our City to engage in the first autonomous public shuttle in the United States, and in doing so, has the transportation industry bringing innovation and technology to our City! Arlington was the first city in Texas to have autonomous vehicles operating on our roadways. All of the major automobile manufacturers and many new startups are advancing the autonomous technology. Arlington was also the first city in America to start a technology-based rideshare program and it has been hugely successful! The convenience, low cost and timeliness of the service far surpasses the performance and ridership of buses. Many cities across the nation and Tarrant County are following Arlington’s lead and implementing our rideshare program! The rideshare program and autonomous vehicles are only a part of our plan. We will be testing a new prototype of electric shuttles on elevated platforms that can be used as the spine system that are much more cost effective than light rail. The President of DART has stated that they will not be constructing any more rail, except what they have already committed to! They also want to move to some of the new technology solutions. We have implemented 11 innovative transportation technology projects in Arlington, which is the most by any City in Texas. We will be continuing to look for other innovation to improve our transportation. 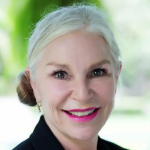 Ruby Faye Woolridge (Mayor seat) – I would work with the North Texas Council of governments and UTA’s College of Architecture, Planning and Public Affairs. to develop a bicycle and regional transportation system in Arlington. We can reduce carbon emissions by introducing regional transportation to keep emissions low. 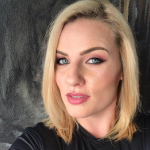 Ashton Stauffer (Mayor seat) – This is one of the issues I discussed with Mayor Williams in private meetings in the past. He seems to have, at least in part, received some direction from me in this area. The new via program is Close to what I suggested but not exactly. Because my aim is to put Arlington citizens first, I recognize the need for some in our community to need transportation. That’s why I have proposed that we create a fund, to those who have either disabilities or fallen on hard times, do you receive vouchers for Uber. This would be directly to and from certain destinations. Marvin Sutton (D3) – Arlington is labeled as the most populous American city with no comprehensive public transportation system. While Arlington Via provides limited transportation coverage that addresses some of the transportation needs in certain areas of Arlington, the question of how do we get our growing commuters to work has yet to be resolved. District 3 is one of the fastest growing districts in Arlington and over 90 percent of the district commutes outside of Arlington on a daily basis creating gridlock on our highways and interstate. Building a couple of transit stations strategically along highway 360 would be beneficial in mitigating congestion during peak traffic flow periods. Cyndi Golden (D4) – Our lack of public transportation has become a broader issue than just the movement of people. We must continue to seek alternative forms of transit because the citizens have voted down mass transportation on 3 occasions. I have an idea about approaching our biggest employers to implement ride sharing within their companies. It could be carpooling systems set up among employees, or a service provided by the company itself. The business could offer close parking, free breakfast or whatever to incentivize the employees to utilize the service. The benefit to the employer is that it promotes community values, and a sense of connection among employees. It would have to be a system setup pairing folks who live in the same area to make it convenient. This could be easily identified by analytics and offer route and ride choices to those involved. Many of the top employers in Arlington would lend themselves well to this type of plan. As an example AISD, GM, THR all have a significant number of employees working the same shifts. In those companies it would be relatively easy to choose rideshare. I also want to see VIA expand, and continue the search for other options that Arlington citizens will endorse. Ignacio Nunez (D5) – This City has turned down elections to implement “bus” public transportation 3-4 times since I have lived here by very large margins. It is politically a nonstarter in this city. Via “ride sharing” has now expanded to cover from Lamar to I20 and Bowen to 360. It costs the taxpayers 1million a year and is profitable. It should be expanded. Computer controlled traffic lights are being installed to improve the flow of traffic. I agree with more bike lanes. There is not one public owned transportation system in the US that is profitable. Light rail sounds great but right of way from our entertainment district to TRE is nonexistent and brings up the issue of Eminent Domain through very expensive real estate. How about monorails above our present roads powered by new technology “tubes” with low air pressure? Celia Morgan (D5) – Protected bike lanes around heavy bike use areas are a must- and while there are a few around the city, they are far between and not necessarily in coordination with areas of high bicycle traffic. In addition, I understand the city has been looking into scooters for the UTA campus. While these environmentally friendly transportation alternatives are wonderful- they’re also incredibly dangerous in a city that relies on automobile transportation as the number one mode of transportation. We need to have a comprehensive plan for transportation, that involves all our options: commuter rail, bikes, scooters, and driver/operator safety. Barbara Odom-Wesley (D8) – I believe all citizens of Arlington would benefit from more public transportation options. Public transportation increases access to work, healthcare, schools and universities as well as entertainment and other amenities. Additionally, public transportation would help ease traffic congestion and reduce harmful emissions. Currently, Arlington offers options that service small segments of the population. Even though the city has tried several pilot projects, transportation still remains a top concern for citizens and Arlington is viewed as a transportation desert. A solution is needed that serves all segments of the city and is accessible by every citizen. Even though three proposals have been defeated by the voters (1980, 1995, 2002), I think it is time to put the issue before the electorate again with a well thought out plan that works for Arlington. Arlington has grown to almost 400,000 in population with a major university and a thriving county college. The need is critical and attitudes have changed. As more people relocate here, we find surprise and even hesitation due to the lack of transportation. Businesses pause in considering locating here due to the lack of transportation for their employees. Some current employers provide vouchers for Uber or VIA and other transportation options. Don Warner (D8) – This subject needs a more in depth discussion, that I am willing to provide at anytime in the future. Mass transportation does not pay for itself, therefore, it must be considered in areas of need for improved access to essential services, where sufficient ridership is available. I believe that my plan allows Arlington to meet that need. I would like to see the city look into several options I have developed to better assist our underserved community. I have reviewed the completed transportation advisory committee study but don’t see the focus on the underserved community. I don’t believe there is a need at this time in Arlington for an Arlington Transit System; like DART or Trinity Metro, with all the facilities, personnel and infrastructure. I have mapped out an initial concept using existing regional resources without all the cost of infrastructure, to provide a reasonable initial solution to transportation for the community. I call it the Central City Transportation System (CCTS). This concept would open access to education, wellness and jobs, by connecting the city center to hospitals, Tarrant College SW, UTA, and the entertainment district. I would strongly suggest that this concept be explored as a pilot program as part a of comprehensive transportation information study, leading to a transportation revitalization plan for all modes of transportation, including bicycles, traffic flow etc. The results of the plan could be prioritized, funded and phased in over time to meet the cities growth patterns. Joshua Taylor (D8) – I have been very curious as to why our community has gone this long without effective public transportation. There is a clearly a need and demand for public transportation. If elected, I would look to understand the systems put into place by our neighboring cities and comparable cities, and gain information in order to collaborate with the council and constituents in proposing a self sufficient solution for public transportation accessible by the entire city of Arlington, not only in major parts of the city. Being a priority in a vision of a greater Arlington, I am dedicated to finding a workable system for all to enjoy a healthy convenient lifestyle that supports individual and collective growth in our homes and community. I want to give every individual an equal opportunity to be succeed in the city of Arlington. 5. How can the city find and use resources to keep our parks in better shape? What are your priorities for Arlington parks and green spaces? Jeff Williams (Mayor seat) – I am proposing a recurring increase in Park Operations and maintenance funding in this year’s budget. I am also supporting the addition of a field technician. We do need to increase our park maintenance funding. However, I am supportive of our Parks Department who were selected as the top Parks Department in the nation. They do an incredible job! We are working to increase tourism and jobs to bring more money into our city to improve City services such as Parks. And it is working! We are no.1 in job creation and tourism in the Metroplex! The increased revenue will help tremendously! I am a huge park supporter and was President of River Legacy Foundation for 6 years and I will continue to be a champion for Parks. I look forward to working with you on any ideas you may have. 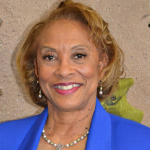 Ruby Faye Woolridge (Mayor seat) – As a member of the parks board I see a big issue is that the city is cutting Parks Department funding by 4% every year forcing the department to do more with less. As Arlington aims higher, we will increase the funding for and properly staff the Parks department to maintain and creates new parks and green spaces for families. 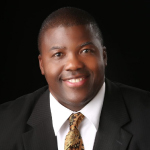 Marvin Sutton (D3) – Parks and green spaces are beneficial for our community. These areas help us decompress from our day to day stresses and is environmentally friendly toward our planet. There is a demand in Arlington for more parks. My priority would be to increase the development of parks and green space through Arlington and use recycle material and energy efficient equipment in the overall design. Cyndi Golden (D4) – We have a good park system… Our park system was voted number 1 in the nation. I would like to keep working in a positive direction with the parks department. My priority is actually to get citizens engaged in using the parks. Out of all our beautiful parks most are visited infrequently by the people that live here. Some ideas I’ve thought of would include, fishing lessons for kids and parents, kite flying classes, botanic tours, townhall meetings in the park. If folks knew how nice the park system is they might enjoy our city more. I would also like to see an initiative to promote butterfly and bee habitats by using native plants which attract pollinators. 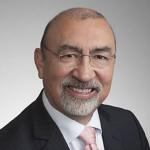 Ignacio Nunez (D5) – I am naïve to to this issue. I do not know where to look to find and use other resources to keep and maintain our parks. I would hope that during the budget process that enough funds are available to do this. Does our Park and Rec Board of volunteers have input into this process? I would prioritize to continue to ask our developers to create Green Space in their developments, create more Parks as our population grows and spend wisely to keep them clean and beautiful. Celia Morgan (D5) – We are greatly reducing the amount of green spaces in Arlington with rapid development in an effort to accommodate a growing city- but we should be working to preserve the spaces we have left, and reverse the absorption of greenspace where possible. There are great ways to utilize our parks and green spaces to meet intersectional challenges across the city as well. Community garden funding for food desert neighborhood, park revitalization grants, rebate programs for responsible development that incorporates greenspace preservation. I’m willing to work with eco friendly development leaders and environmental groups to determine other possible remedies as well. Barbara Odom-Wesley (D8) – My top priority regarding parks and green spaces is equal access for all. As a member of the leadership impact council for Texas Health Resources (THR), we are studying social determinants for health. We have learned your zip code is a greater predictor of your health status and longevity than your genetic code. I would like to see Arlington work to reduce and even eliminate health disparities by insuring equal access to healthcare, and amenities such as parks and other facilities that promote physical activity and a healthier lifestyle. 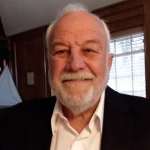 Don Warner (D8) – Arlington has some of the best parks in the metroplex and received several nationally recognized awards. The city uses grants and taxes effectively. I have visited many of the existing and newly developed parks and found them to be well maintained. The department spends in excess of 17m for overall operations. Maintaining the parks should be a priority along with all services. Adding new green space, trees and water retainage systems should be a priority in new construction. 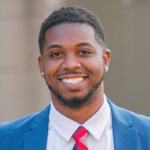 Joshua Taylor (D8) – Right now I believe there is not enough promotion to the residents of Arlington of how great Arlington parks and green spaces are, and the blessing they are and can be. One of my priorities in embracing the new age of technology, is to develop a much needed app, easily accessible to our residents in app stores. Effective marketing of our parks and green spaces in a way that provides an incentive for taking advantage of these resources. I believe it all begins with true Unity in the community, and in embracing that, I believe that we can promote community togetherness in effectively maintain and preserve our parks and green spaces here in the city of Arlington.